At Viewforth Glazing we provide a glass cutting service with our fully trained experienced glass technician supplying to Trade and Public customers. We offer Glass and Mirrors which can be ordered in different sizes with or without the edges polished all round, Bevelled edges or the corners rounded off making them safer for smaller family members should they be around the glass. 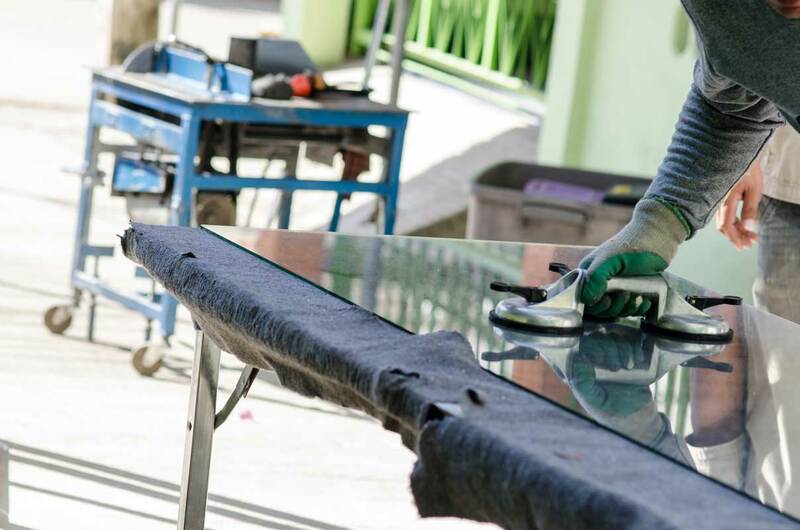 We can make bespoke Table Tops which vary in thickness from 4mm to 25mm in a toughened safety glass or un-toughened either to protect the surface of an existing Table Top or as the actual Table Top. We can manufacture Shelves of all shapes and sizes, Flat, Tinted, Patterned or to a colour of your choice. Need glass for fire or HMO regulations? Our range includes Georgian Wired Fire Resistant Glass which comes either Clear or obscure with a 30 minute fire Integrity or 60 minutes with a stronger wire running through should it be required. We also offer Clear Fire rated glass Pyrodur or Pyrostop with a 30 or 60 minute Insulation and or Integrity these are suitable for Doors or interior windows covering all your Fire Glass requirements. 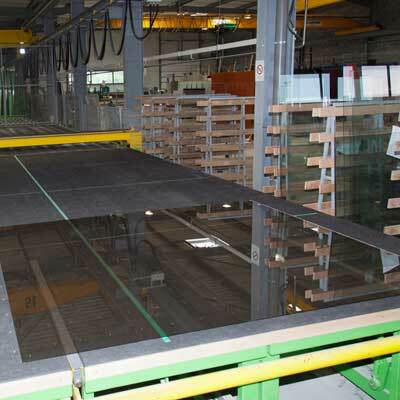 We have a selection of Glass in Clear float, Patterned, textured, tinted, coloured or frosted finishes and Picture glass, Horticultural Glass for Greenhouses, if you need a safety glass we have Clear, Patterned or Opaque Laminated, wired and Toughened Safety Glass, Security Glass, Glass Doors, Double and Triple Glazed Sealed Units, Heat retention Low E or K-glass, Self Cleaning Glass, Satin & Acid Etched Glass, Brilliant Cut, Traditional Vestibule Door Glass, Surveillance Mirrors and Antique Mirrors. We are very proud of our Decorative Leaded Glass made by our very own glass artist who will assist in designing and drawing out your own personal requirements with the added option of coloured film and Glass Bevels which can be applied to your glass panels. Samples of our designs are available to see in our shop. 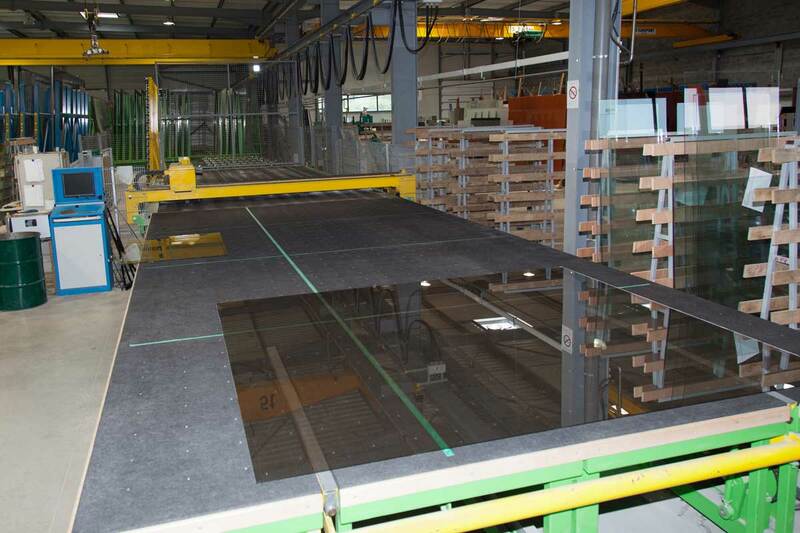 Most of our large stocks of glass can be cut, edged and finished in our workshop. 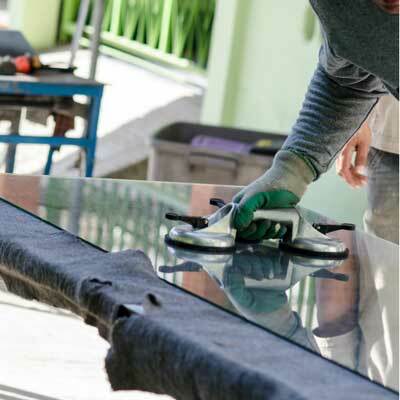 We are happy to oblige with any glass size requirements, from small Picture Frames, Mirror Frames, Cabinet Doors and Flat Silver Mirrors to full size Wall Mirrors our friendly glass technician will even help carry it out to your vehicle or we can arrange delivery. We also offer a service to repair and glaze your own Pictures, Frames, Mirrors, Sashes or Doors, these can be dropped off at our shop and collected at a later date.